Speaking at the conference Irish Farmers Journal Tillage Editor Andy Doyle said this minimum price guarantee is a welcome step towards enhancing growers’ incomes. He also noted that Beans had multiple benefits in the wider farm crops rotation. Increased Profitability: As a stand-alone crop and with yields averaging 6.4 tonnes/ha over the last three years, Beans provide almost double the margin from spring cereal crops at €414 /ha. Providing a good break crop in rotations: improving the yield and overall profitability of succeeding cereal crops. Reducing Input Costs: The ability of Beans to fix nitrogen decreases nitrogen requirement in the following crops. No additional equipment needed on farms. Beans fulfil the three crop rule requirements. 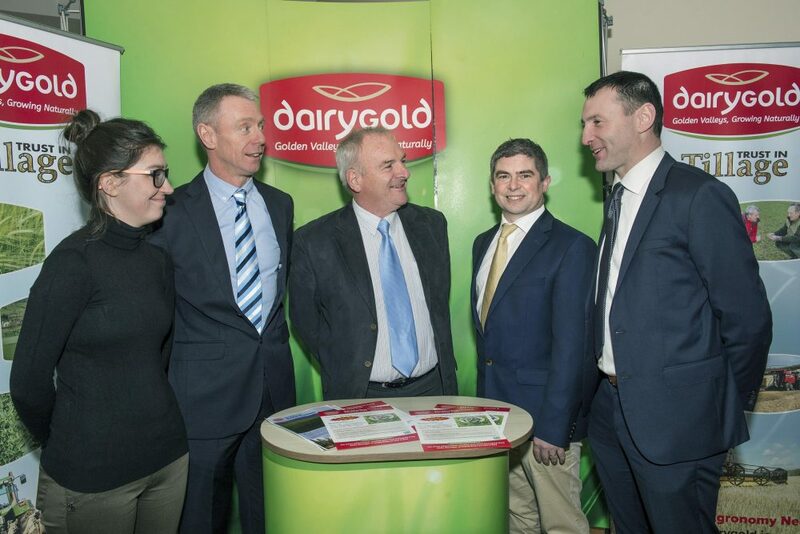 A Dairygold spokesperson, at its Tillage Conference in the Corrin Event Centre Fermoy, commented that Dairygold is fully committed to maximizing the use of native Irish cereals including Beans across its range of feedstuffs. The provision of knowledge sharing initiatives in conjunction with Teagasc along with the best advice and value inputs are also hallmarks of the co-operative actions on the ground. The continued growth of Beans from 3,000 ha to 11,000 ha in recent years, according to Teagasc, has the potential to displace 1.2 million tonnes of imported protein feed. This should improve overall arable farm income and create a more sustainable arable landscape.